Janna Davis slips off her boots in the small town of Madras, OR. She is the 19-year-old daughter of Donald Davis and Norman and Keri Strawn. She is a 2017 graduate from Madras High School, and in the fall after graduation she moved to Portland and started attending Paul Mitchell the School Portland for her cosmetology license. She pursued this career path because she believes it’s important for woman to feel beautiful within their own skin. Janna has been riding ever since she could remember beginning with riding every summer at her grandmas house in Battle Ground, WA, until eventually the start of her freshman year of high school she was able to bring them home to Central Oregon. Janna was a state qualifier all four years she did Oregon High School Equestrian Team, and her biggest accomplishment being she took gold at districts her senior year for reining. She loves to barrel race, rein, and plans on learning to breakaway rope sometime soon. Janna plans to use her bay gelding Moses for the year. In her free time besides riding her horses, she loves to hangout with friends, style hair, and take some selfies with her horses. 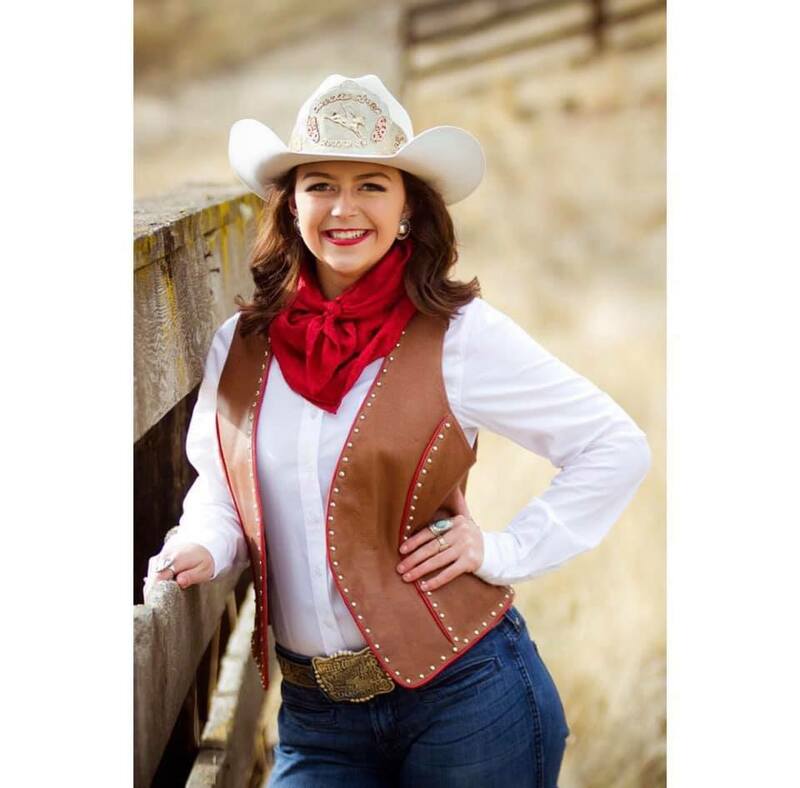 The Crooked River Roundup is excited to have Janna assume the crown for the 2019 season.